• Wild garlic plants are perennials, which means they keep their leaves even in most winter times. During cold winters, the leaves may die entirely, but the roots will allow them to live and grow back during the next spring season. • You should make sure you never grow wild garlic in soil that had other plants grown within the last three years or so, as it is still a member of the onion family. Make sure you take the bed out of the rotation system you have once you have it ready to become a permanent crop. Make sure you remember that wild garlic. • always thrives in a well-drained soil environment, one which has a pH of about 6-7, plenty of sunlight and lots of organic matter. Thankfully however, the plant is sturdy enough to survive in most other types of soil as well if need be. • Partial shade and full sun work well enough, however they should still be watered as they aren't too hardy in terms of dry seasons and locations. Stick to a regular and healthy watering “diet” for your new plants. 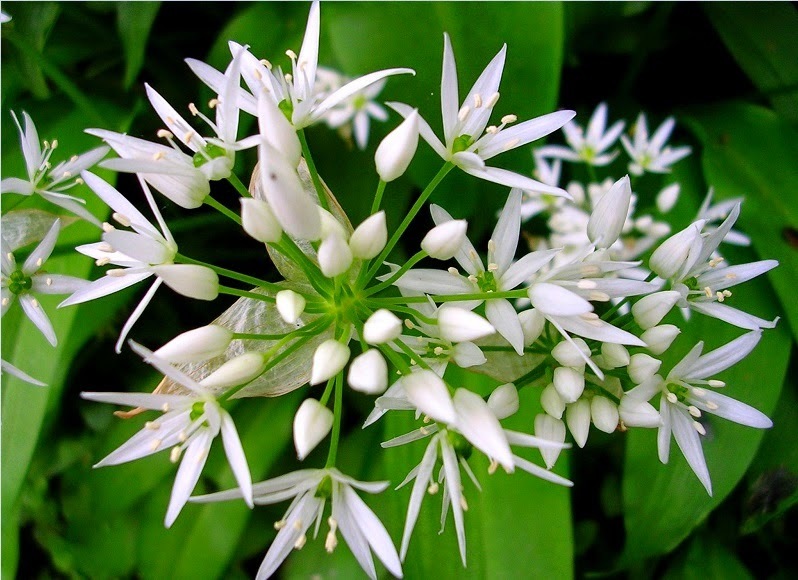 • You can grow wild garlic right from seed, as they mature during the summer or in the early spring that follows. You can sow them during March, using normal potting and composting techniques. They can germinate at roughly room temperature, with the seedlings popping up about ten days later at most. You can transfer them after a month to an outside position, but remember you can sow them as clumps, rather than orderly rows. • Their bulbs will multiply fast, so you can dig up some of them during either March or October if you want to replant them somewhere else. This will allow them to spread as you see fit as the years pass. They won't need to be fed as they don't really take too much of the natural nutrients of the soil they're planted in. • If you want to harvest the plants, then you will need to cut the leaves with scissors, starting from the outside and working inwards. Cut them to the base and remember that the leaves will grow a few times during the season. If you want to be able to harvest them however, you should remember that newly planted seedlings should be allowed to develop strong roots, so give them time at least until the end of July before trying to harvest. • They are also very resistant to all kinds of plant diseases, except for the onion fly, however you will have almost nothing to worry about with your new garden addition. Christine is a dedicated writer and blogger who is an organic gardening and landscaping specialist . She says that nature is her biggest inspiration source and its beauty motivates her to keep writing. Her latest article is about wild garlic growing tips.